I thought for today’s post I would show you what’s just finishing blooming in my garden. It’s one of the most dependable plants I have. 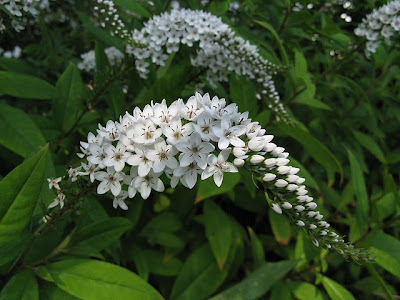 The flower of which I speak is Lysimachia clethroides, or Gooseneck Loosestrife. 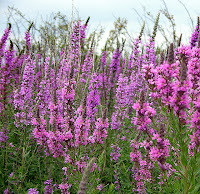 Loosestrife in general has a bad name in Nova Scotia. There is one species that found its way into New Brunswick a few decades ago, and has subsequently spread throughout most of Nova Scotia. It has become a real problem. 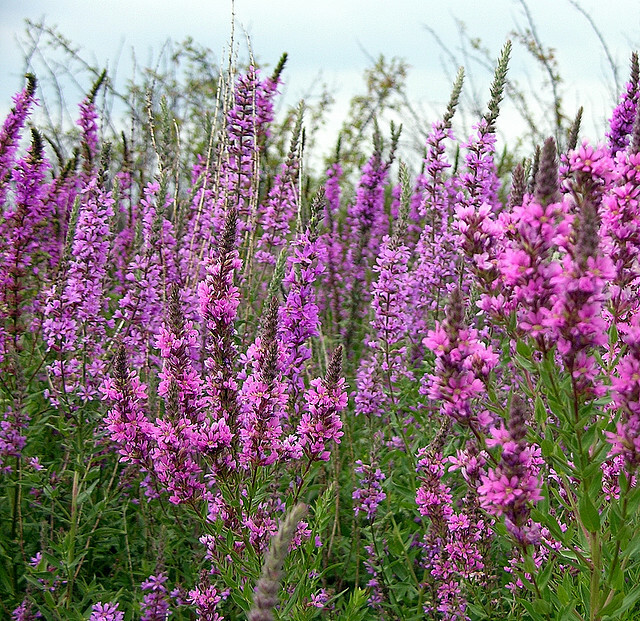 Purple loosestrife has gained a fondness for our ditches in NB and NS, and actually is so invasive that in some areas chokes out the natural beneficial vegetation. But Gooseneck isn’t quite same. I do have to say it is rampant, but just about anyone would love to have a piece of this beautiful perennial. I have heard it can actually be invasive in some areas, but I have never had the problem. Gooseneck loosestrife is very hardy, growing between USDA Zones 3a to 8b. Gooseneck likes the sun, but dislikes drying out and can look quite sad in the full heat of summer. My best results have been where it’s partial shade. Growing between 24 and 36 inches, it can be a real stunner as it also grows in clumps from underground runners. I have yet to see a single stalk standing alone. Each stalk ends in a florescence of at least 100 individual flowers that gracefully curve and appear like so many goose heads nodding in your garden border. That is the reason for the common name. The flowers are small (about 1/4 inch) and have the politeness to drop off as they die leaving the rest of the bloom looking fresh. Each blossom is star shaped and nearly pure white. 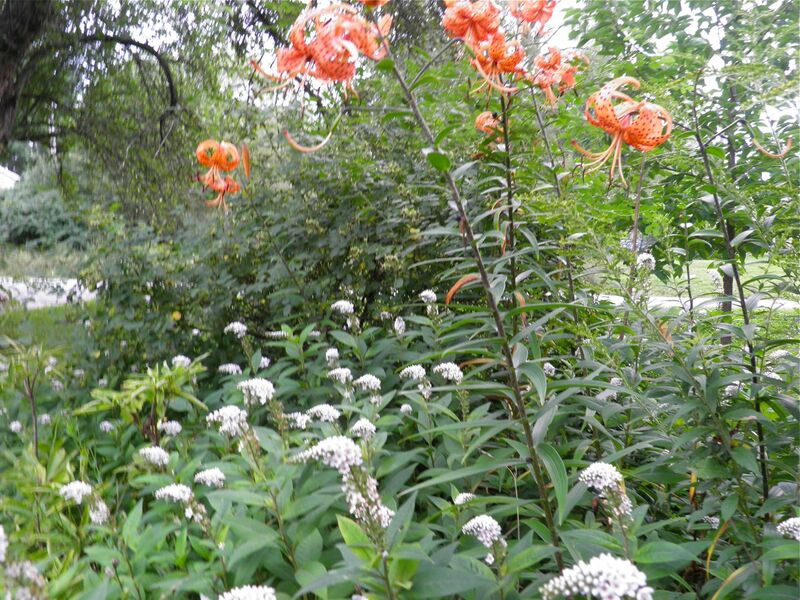 This reliable perennial tends to bloom for a long period throughout the summer, and the foliage sometimes turns rusty red in fall. Though it will tolerate full sun it prefers shade, but will do tolerably well if it receives only good morning sunlight. It also prefers evenly moist soil. Success seems to hinge on even moisture. Gooseneck loosestrife is not very tolerant of high pH hard soils, but an annual addition of compost and chelated iron will help remedy that situation. 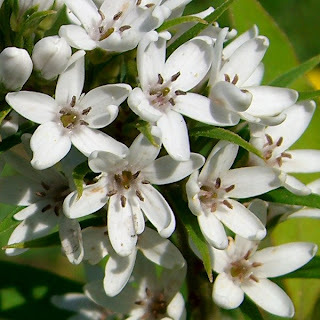 Although it is technically not invasive, it can and will spread if given the conditions it likes. Only one of the pictures is mine, because I opted to show you this beautiful plant in its full blooming glory. Sadly my photos were taken when they were in bloom for a while and were starting to look past their prime. If you look at the photo below you can see how the flowers bloom from the bottom up and spent blossoms drop away. My plants were about half done. Look for this plant next year, or ask someone who has it for a division for planting this Autumn. Before you know it you’ll be able to give clumps of this unusual and rare perennial to your friends and neighbours. My tiger lilies were extremely tall this year. These loosestrife are close to 3 feet tall!